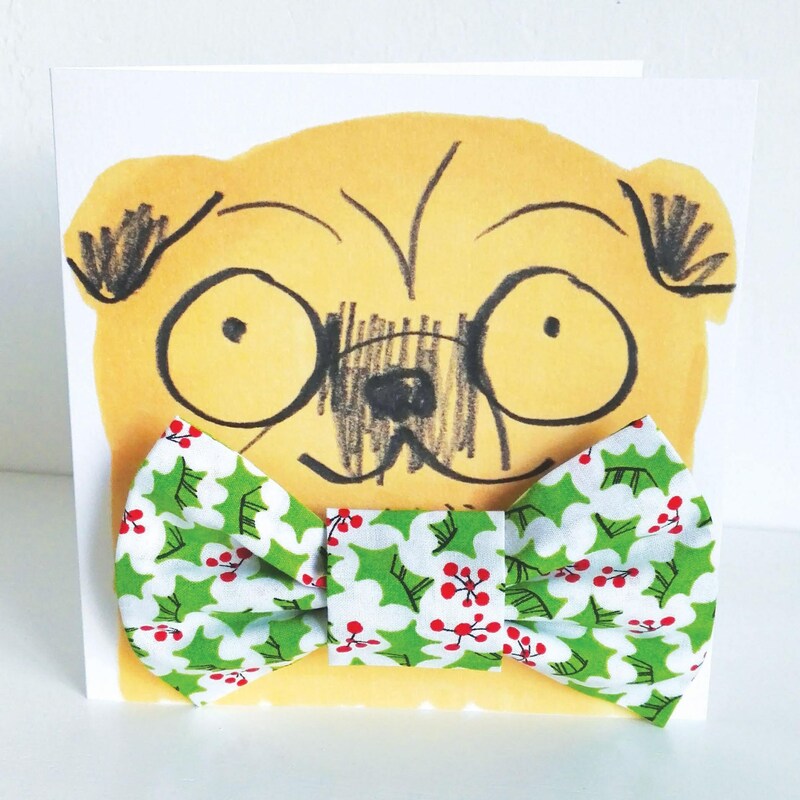 Treat you pooch to this little pug dog card wearing a beautiful handmade holly pattern bowtie! 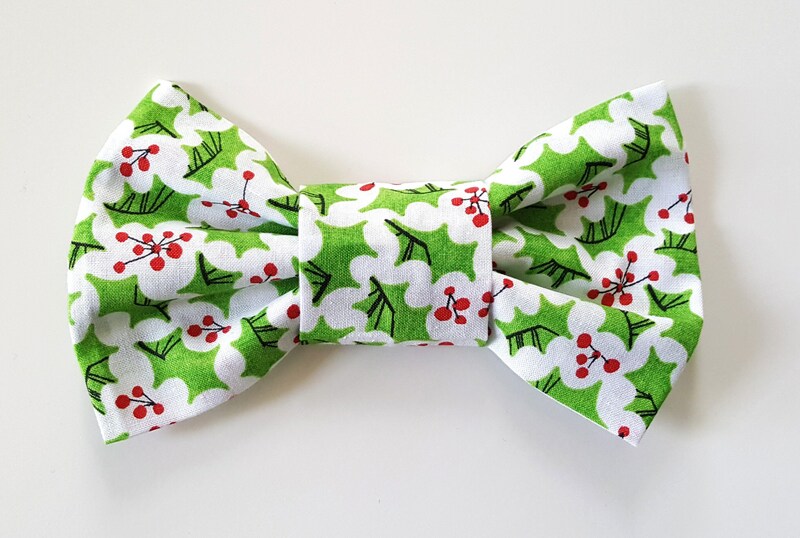 The holly pattern bowtie is a little gift for your dog to wear on their collar, the perfect dapper accessory for those occasions where you might need that extra bit of hipster style, especially at Christmas parties! The 'Hipster Hound' cat gift range is a fabulous collaboration between Buster & Lou and Jo Clarke Designs. A range of six cards beautifully presented with one of four Christmas festive bowties for your or a friends stylish hound.